Fashion seems to get all the Cyber Monday hype, but don’t miss out on these great beauty deals from some of my favorite brands. Tata Harper: 15% off site wide through December 8th, actually. 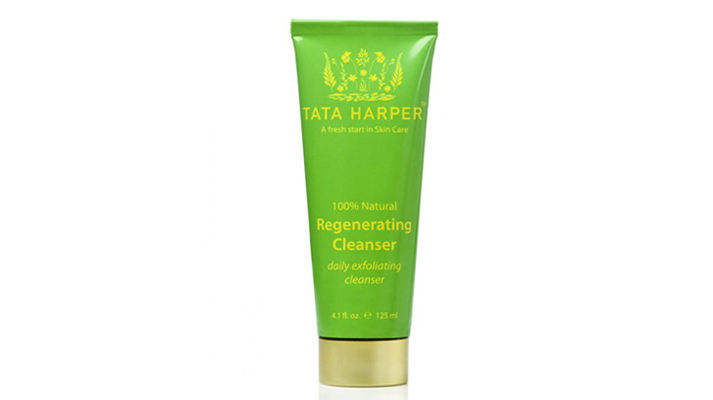 I love love love her regenerating cleanser and resurfacing mask. Bliss: 30% off all the products at blissworld.com with code Dazzle30. More cyber perks: spend $75 or more, and you receive a free holiday beauty gift bag. Spend $150 or more and receive a deluxe gift kit that includes Bliss’ Micromagic Microdermabrasion Treatment, Triple Oxygen Ex-‘glow’-sion, Fabulips Sugar Lip Scrub and Fabulips Softening Lip Balm in a limited edition Kate Spade cosmetic bag (valued at $176). Nordstrom: Exclusive beauty sets from tons of brands, including Clarisonic, Lance and DryBar. Definitely check these out. Birchbox: A lot of deals here: 25% off orders of $35 or more, including subscriptions, with code PARTYON. bareMinerals: Get this gorgeous 12-piece eye and cheek palette for $39—a $126 value. Kérastase: 10% off all orders with free shipping on orders over $75. You’ll also get a free sample of their Chronologiste Parfum Oil. Julep: 50% off site wide with code YAYTODAY. Anastasia Beverly Hills: 25% off brow products. Now’s the time to stock up on my favorite. I love her Brow Pen and Duo Brush #12. 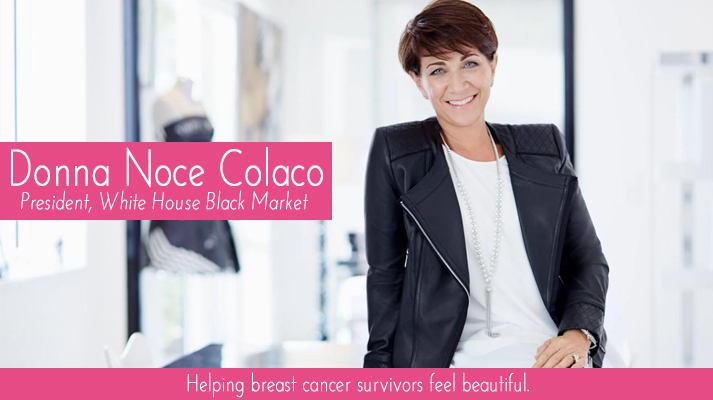 Meet Donna Noce Colaco, President of White House Black Market. Through her leadership, the retail giant has become the largest corporate sponsor of Living Beyond Breast Cancer, a nonprofit foundation very close to my heart. 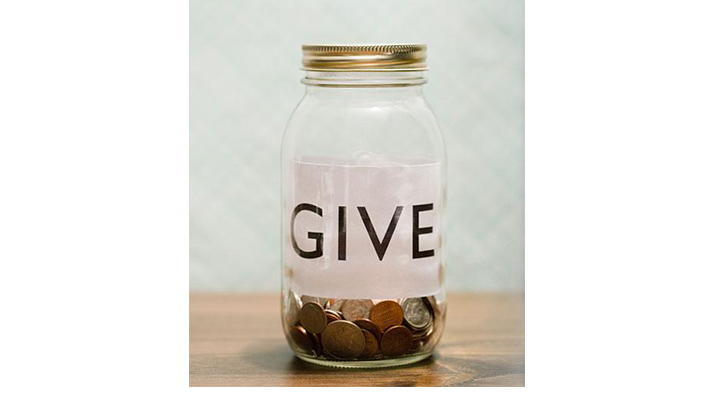 LBBC supports more than 500,000 people each year impacted by the disease. Thanks to its trusted information and compassionate care, LBBC provided tremendous resources to a dear friend of mine who, today, I’m proud to also call a survivor. It’s a very special organization that truly changes lives. Donna Noce Colaco has used her brand’s success to help spread the word about LBBC. She has featured real women who’ve benefitted from LBBC services in national marketing campaigns and spotlighted LBBC staff in store catalogues. She brings an elevated sense of giving to her philanthropy that I hope will serve as a model for other corporations. Isn’t it inspiring to see what rewarding corporate partnership can look like? This weekend Donna is being celebrated at the LBBC’s Butterfly Ball in Philadephia, receiving its highest honor, The Founder’s Award. White House Black Market is also donating proceeds of it’s limited edition Give Hope Collection, to LBBC. I love the umbrella! Exactly one month after I gave birth to my first daughter, I was offered the cover story of Hamptons magazine. An interview with Donna Karan. I was leaking milk, overwhelmed, sleep-deprived and 30 pounds over weight. I was so post-partum, I almost said no. 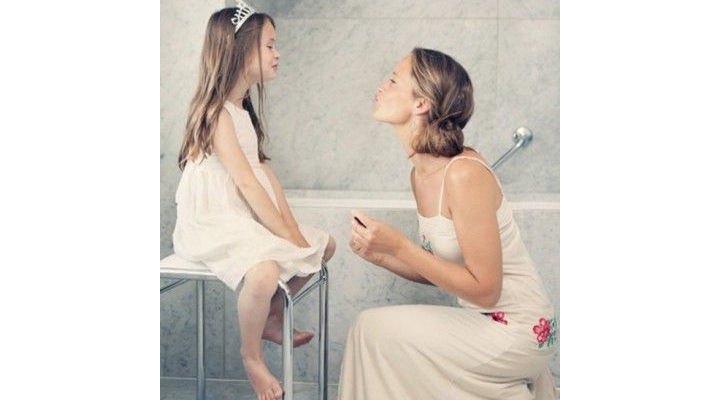 But in one of my first true motherhood moments, I thought, someday my daughter will see this. I took the job. I met Donna on the rooftop garden of her Urban Zen Center. A true oasis in the midst of New York City’s West Village. Karan was in the early stages of launching Urban Zen at that point, and she was alight with energy. She was on the cusp of doing something that had never been done: creating a non-profit that would integrate mind-body care into the healthcare of the terminally ill. She was about to change the landscape of medicine. After watching her beloved husband, artist Stephen Weiss, die of cancer, starting Urban Zen was her passion. I remember her telling me she wanted cashmere blankets in hospitals. But more than that, she envisioned nurses trained in therapeutic massage, nutrition, and eastern healing processes. She wanted to help doctors treat the patient, not just the disease. The Urban Zen Integrative Therapy (UZIT) program was born. Today, the UZIT training program is in hospitals and universities and has partnered with some of the biggest cancer and children’s hospitals across the country. It’s truly changing the lives of both patients and caregivers. Urban Zen has two other major initiatives: preserving global cultures and empowering children. For Haiti, in particular, with it’s Hope, Help and Rebuild Haiti initiative, Urban Zen has helped the small country get back on its feet, with it’s roots intact. But Karan travels extensively around the globe, falling in love with suffering cultures, discovering artisans and bringing their work to the U.S. in an effort to help boost their local economies. You can see the elaborate bead, stone and wood work curated in her one of a kind Urban Zen boutique, along with the most gorgeous clothes and furniture. Urban Zen’s children’s initiatives team with existing organizations, like Spirituality for Kids, to “educate kids beyond academics, to care for children’s well-being in ways that give them the tools to face obstacles and opportunities with love, compassion and strength.” I understand the importance of that initiative now more than ever before. Donna Karan has a singular way of being an artistic thinker, a compassionate game-changer and an inspiring leader. I’ll never forget how present she was, how kind and generous—and how she shared her passion for motherhood with me that day. Her maternal force is so often her guide. If you live in New York City, I urge you to check out the Urban Zen Center. It’s not only a beautiful refuge from city life, but it has a rich calendar of events open to the public. Gabby Etrog Cohen is the marketing phenom behind SoulCycle, the fitness game changer that inspired me—among droves of other women over 30 (or 40 or 50) with children (or grandchildren)— to get into the best shape of my life. SoulCycle is not just a workout, it’s a lifestyle and a mindset. It’s a dance party in the dark. It’s also a fashion statement and overall spreader of good vibes. Founded by two (amazing) New York City mothers who who wanted to create a shortcut to the best, total-body workout in under an hour while being fun and uplifting, SoulCycle has grown into a national movement, with 42 studios across the country and more than 12,000 devout followers peddling their way to a higher level of fitness and, I promise you, state of mind. Etrog Cohen, mother of two, has everything to do with SoulCycle’s singular reputation in the media. 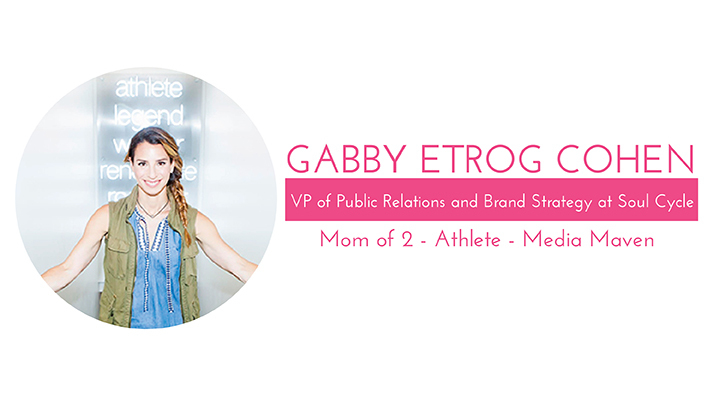 As Vice President of Public Relations and Brand Strategy, she is like the mother of the brand. Essentially, Etrog Cohen helps keep SoulCycle the cool kid on the playground. A consummate New Yorker, Etrog Cohen’s style is sleek yet edgy, her taste is selective and informed. She’s that friend who everyone asks for the best hair stylist, restaurant or kids classes. So it’s no surprise that Etrog Cohen knows the best in beauty. She’s enviably low-maintenance, but whether she’s on a bike or running between meetings, Etrog-Cohen always looks effortlessly chic. A mix of both, I dry the front because it is super frizzy and then air dry the rest of my hair. YSL BB cream. SO good. Believe it or not Clean and Clear oil free moisturizer is my go-to. I try different creams all the time and always return to this. Kiehl’s Midnight Recovery Concentrate before bed when I remember and every other night I use M-61 Power Glow Peel from Blue Mercury. Mascara, I never wear it unless I have an event. When I would let my curly hair dry naturally and then brushed it out…eek! I get my hair chemically straightened once to two times a year. It is naturally super frizzy and I do my best to tame it. I have to get my hair colored to cover my grays every six weeks. OMG I have so many. Dana at Sally Hershberger for color, she is a miracle worker. Vickie at Vidov Salon for Matrix Optismooth straightening treatment, Lauren at Nunzio Saviano for Cezanne Hair Keratin Straightening Treatment and Nunzio for cuts. I spend so much less time on myself since having kids…if I get my underwear on it is a good day. I just want to squeeze these little people – I love them so much. My daughter tries to use my makeup ALL the time and dresses herself. She loves a tutu! Wear blush, mascara and do your hair! Oh and stand up straight. Be a good person. It is the MOST important thing. And love yourself (warts and all). There is no such thing as “balance.” Do your best—sometimes you fail at work, fail at being a parent or fail at taking care of yourself. It is OK. Try again tomorrow. Sit on the beach with a stack of magazines….oh a girl can dream. Keep up with Gabby @gabbyetco on Instagram and Twitter.